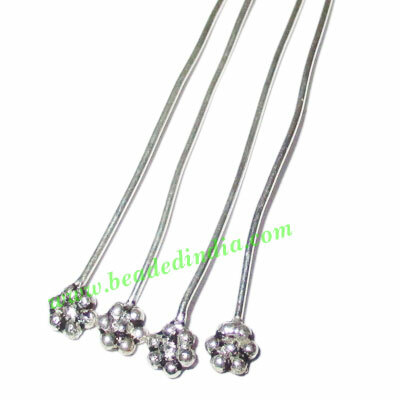 Sterling Silver .925 Headpin size: 1.5 inch (38 mm), head size : 6mm, weight: 0.41 grams. Leather Cords 4.0mm (four mm) round, regular color - light violet. Iolite 4mm round semi precious gemstone beads. Assorted Printed 10x Yoga Scarves, Material : staple rayon, size 178x92 CM. Barb Wire Leather Cords 1.5mm round, regular color - rust. Silver Plated Fancy Beads, size: 16x13x4mm, weight: 1.37 grams.